I found out recently that our daughter likes okra. Great, another vegetable in the list. 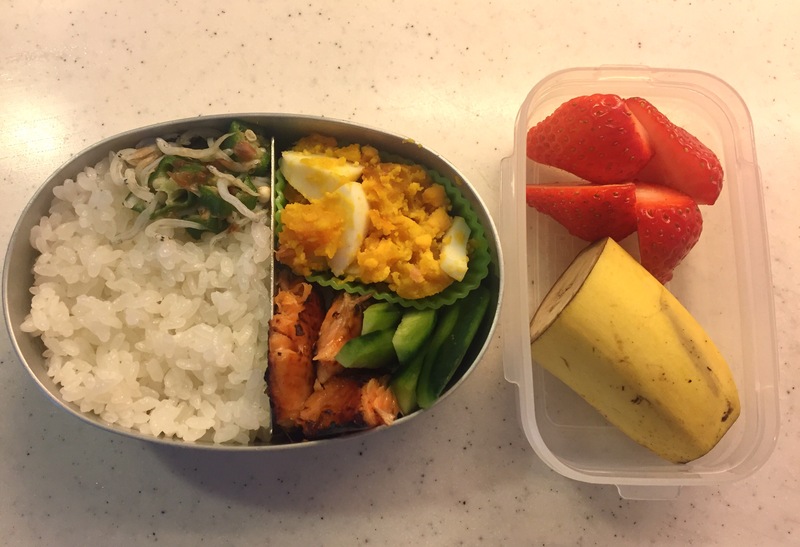 Following yesterday, I packed okra again for her bento today. Just to give some variation, today I tossed the sliced okra with katsuo-bushi (dried bonito flakes), some shirasu (baby sardines) and a dash of dashi-shoyu (soy sauce mixed with broth). This goes great with white rice.